We have 2,500 closed beta codes for tactical multiplayer battler Total War: Arena to give away! You’ve already been spoilt with new Total War this week with the arrival of the brilliant Warhammer 2. But you can’t have enough of a good thing, right? 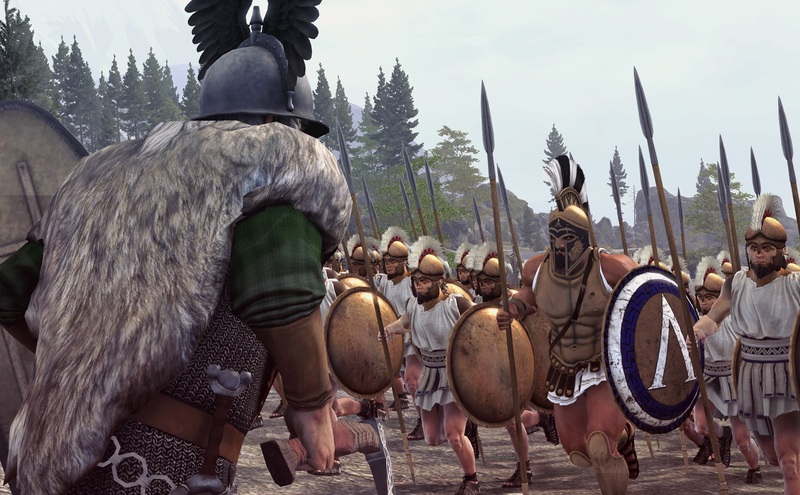 That’s why we’re giving you the chance to jump into another new Total War game. It’s called Total War: Arena. 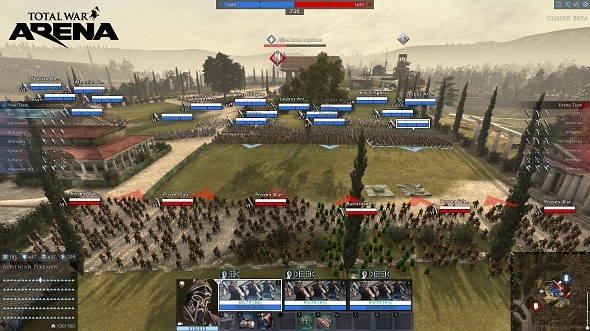 As you might guess from that title, Total War: Arena takes Creative Assembly’s expertise in creating huge historical skirmishes and turns them into 10v10 real-time tactical battles. Yep, this is an online multiplayer war game. What’s cool is that you can either play as an individual or take on your opponents as a team with other online players. You get to command three distinct units, each with their own battle style, and which you can refine by unlocking new commanders, specialist skills, and upgrading weapons and armour. There are also new units to unlock, too, of course. This is a free-to-play game, so there are in-game purchases to customise units and speed up progression, if you want them. That’s up to you. But where the skill comes in is in knowing how to use those units in each battle scenario, adapting to the map and the tactics your opponents employ. Right then, we have 2,500 keys for Total War: Arena up for grabs. As it’s in closed beta at the moment this is a rare opportunity to check the game out. If you want one of those codes then you’ll need to enter the competition via the widget below.Every action you complete is worth one entry into the giveaway, and the more actions you complete, the more chance you’ll have of winning.We’ll also need your email address so we can send you a code upon winning – we won’t send you spam, we promise. Oh, and while you’re at it, if you haven’t got a Wargaming account yet then create one – it’ll speed things up if you do win a code. The codes are for all global regions, too, so don’t worry about that.